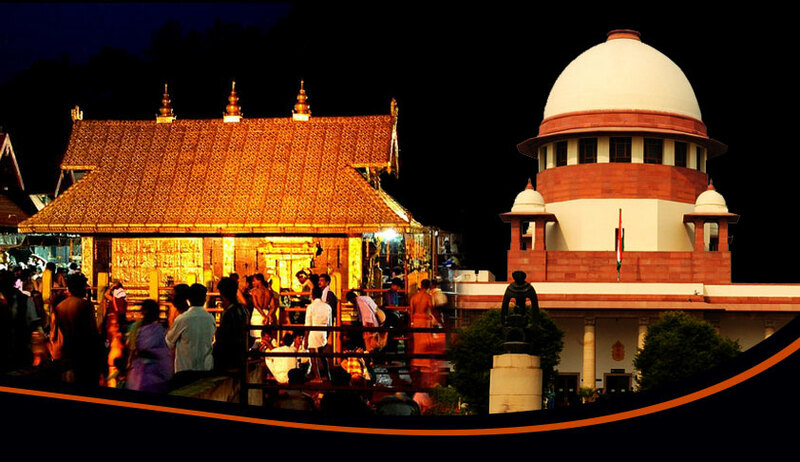 After the Supreme Court today declined a request for early hearing of the review petitions filed against the Sabarimala judgment which allowed entry of women of all age groups to the temple, two more review petitions have been filed before the Apex Court challenging the verdict. The petitions have been filed by the Pandalam Kottaram Nirvahaka Sangham and ‘People For Dharma’, a registered Trust which represents women devotees of Lord Ayyappa. The petitions submit that the majority view erred in not considering the evidence on record which demonstrates that the practice of the Temple is a direct consequence of the celibate form of the Deity and the rules of ‘Naishthika Brahmacharya’ which apply to the Deity. They further assert that the questions framed by the majority verdict ignored the fact that the impugned practices, traditions and customs were based on this celibate nature of the Deity and not on perceived notions of menstrual impurity. The petitions also contend that the “sheer uniqueness” of the Sabarimala Temple makes it a fit case for its treatment as a religious denomination. They go on to point out what they consider to be legal and factual errors in all the three opinions rendered by the judges—one by CJI Misra and Justice AM Khanwilkar, second by Justice RF Nariman and third by Justice DY Chandrachud. The petitioner organisations highlight the fact that they finally represent the views of women devotees of the temple, unlike the examination was undertaken by the majority judgment without any such representation. They finally assert that the majority judgment “will have the effect of eroding the diversity in religious practices across the board in all faiths since its approach places the individual over and above the traditions and practices of places of worship, whether or not they enjoy the status of a denominational place of worship”. The National Ayyappa Devotees (Women’s) Association has also approached the Apex Court challenging the verdict, stating that judgment has sent “shock waves among millions of Ayyappa devotees”. The petition essentially asserts that the devotees of Lord Ayyappa were not heard during the hearing of the case and hence, they must now be heard on all issues of fact and law. Another review petition has been filed by the Nair Service Society, contending that test of rationality under Article 14 cannot be applied to essential practices of religion.